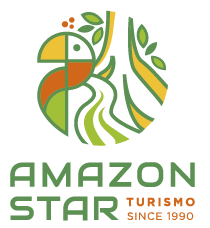 Amazonia Golf Resort, a daring project where nature and golfing come together. The project contemplates the replanting of several trees in the forest clearings needed to build the hotel. A modern building in perfect harmony, offering hardly any impact on the surrounding rainforest. The challenge was met by architects and the wood is certified by FSC (Forest Stewardship Council). Location: On km 64 of the Manaus – Rio Preto da Eva state road with easy access from Manaus. The Hotel: one could say that this is not a jungle hotel, but rather a deluxe golf resort in the middle of the Amazonian rainforest. The property was formerly an old farm and covers a very large area. Apartments: 115 with private bathroom and air-conditioning and 3 types DeLuxe, Premium and Royal. Facilities: 18-hole golf course, sports court, swimming pools, playground, Kids’ Club, snack bars, restaurants, Teen’s Club, fitness area, function rooms for up to 160 persons, sauna, tree climbling, mini golf, recreation team, folk shows and live music.